Let the aroma of gingerbread spread throughout the valley! Gingerbread builders, boys, girls, men, and women from beginners to the experienced are, once again, creating all things gingerbread, to enter Palisades Olde Fashioned Christmas Gingerbread Contest and Showcase, presented by Hilltop Senior Services and Community Hospital, in what has become a signature event of Palisade’s Olde Fashioned Christmas, looked forward to by the valley and beyond. Olde Fashioned Christmas will be held on Saturday, December 2nd from 11am – 4pm in beautiful Palisade. Eight categories mean there’s one for everyone! All except two, allow for the use of gingerbread kits and the use of limited non-food items to enhance them. Battery operated lights are allowed. 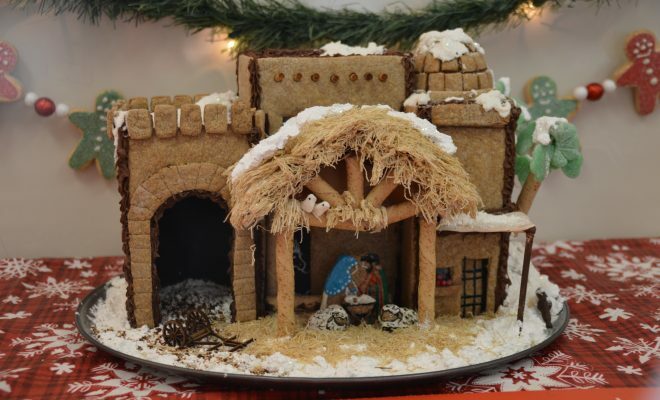 While kits are allowed in all but the “Original Creation” and the new “Advanced Original Creation” (for previous Original Category winners), those who choose the “Kits Allowed, Categories,” may also decide to make their own gingerbread creations from scratch. Children’s categories are divided into groups by age. Each year the prizes and awards become even more exciting. All children who enter, receive a gift bag. Everyone who enters, does so with the spirit of the holidays and the aroma of gingerbread dancing in their heads! The showcase is the builders gift to everyone’s Christmas, as evidenced by the looks, smiles, and sounds of amazement from visitors. Drop off your entries at the Community Center on 120th W 8th Street in Palisade. Early Check In of gingerbread creations: Friday, Dec. 1st from 4:00 pm to 7:00 pm, Saturday Check In is 7:30 am to 9:30 am, December 2nd , the day of the contest. candy, and other decorating tools for children to use. Palisade High School’s Student Council members are the busy elves helping the children.